Thank you Matt for the excellent and professional service provided for my Annual Landlord Gas Safety checks on my properties. Prompt, reliable and 5 star service as always. Cannot be faulted. Replied to my first message quickly, came out the same day and fixed my (very old) boiler. Great price too, never felt like I was being overcharged. Matt is very friendly....loved that he literally whistled whilst he worked. Highly recommend. After numerous poor experiences with heating engineers either not responding to enquiries and/or not turning up it has been a first class experience dealing with Matt Lakins. 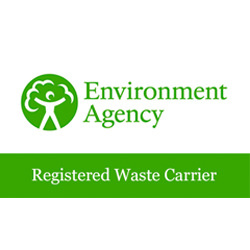 Initial contact, quotation survey, quote and the work was carried out in a very timely and professional manner. Matt understood our needs with regards to the specific replacement boiler required and was well versed in his knowledge of the product. He gave us a date and timescale for completing the job, which he fulfilled exactly on plan. His workmanship is first class with works carried out in a very neat and tidy manner. And as a final touch he offers a scheme for providing annual servicing of the new boiler. A very satisfied customer who would not hesitate in recommending this company. We had decided to use Matt to replace our boiler later in th new year having used his services in the past. Unfortunately just after Xmas the boiler stopped working completely. Matt came out to try to help but was unable to fix owing to time of year and availability of parts. But as helpful as ever he managed ato move some existing work around and fit us in on 7/1, some 22 days earlier. The work was co pelted very satisfactorily, tidily with no mess and within expected timescales. A great job and well done. Another fantastic job completed by Matt. Turned up exactly when he said he would and completed the job quickly and left everything very tidy! Worcester Accredited Installer with over 20 years experience in domestic heating and plumbing. Attention to detail and customer care is a primary focus. What is the Worcester Bosch boiler 9U fault / error code? Error code 9U showing on your Worcester Boiler? This normally means there’s fault with the code plug, either it’s disconnected, faulty or there’s a problem with the wiring harness. First thing to try is the reset button but more than likely, it will require a Gas Safe engineer to attend to diagnose correctly and repair. What is the Worcester Bosch boiler 9A fault / error code? The 9A error on a Worcester-Bosch boiler would indicate that there is an issue with or the incorrect HCM (Heat Control Module) is installed. Press the reset button for no more than a second or two to reset the boiler, if the code re-appears, then it will need a Gas Safe registered engineer to investigate it further. Highy recommend Matt from Lakins Heating and Plumbing, I personally wouldn’t use anyone else. He looks after my portfolio of properties and he is always very professional, fantastic workmanship and reasonably priced. He has completed works such as: * New boiler installations. * Landlord Gas Safety Inspections. * Bathroom refits * New radiators * General plumbing and maintenance on all properties. Thank you Matt for a 5 star service. I’ve worked on a few projects now with Matt and he’s always been great to work with. Hard working, with high standards, he always delivers on quality! He makes working with him an absolute pleasure and I’ve never heard any complaints from clients! 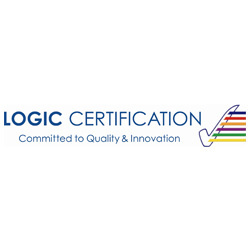 I have worked with this company on several projects (as a tradesman in plastering trade)- bathroom installations and when working on building sites. 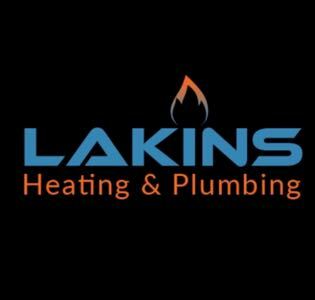 This has lead me to recommend Lakins Heating and Plumbing to family and friends that have needed the service and I/they have never been let down. Reliable, friendly and works to a brilliant standard. Matt brings both professionalism while remaining personable to his clients, which sets him apart.